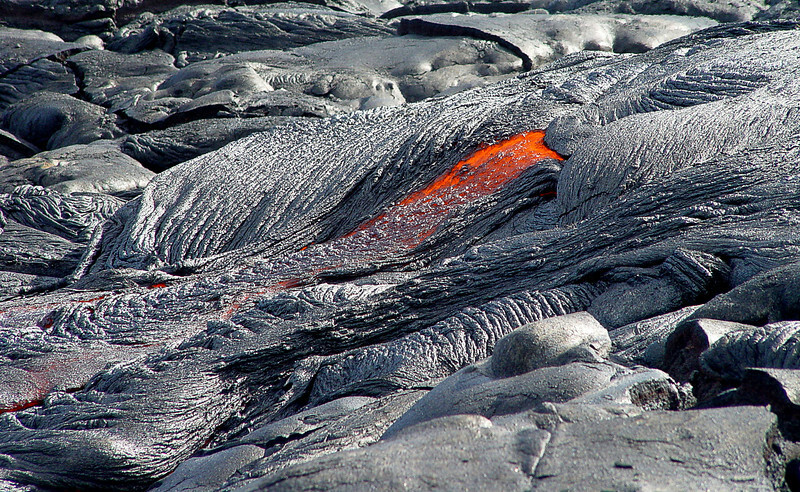 Active lava flow from Kilauea's last eruption. You cannot imagine how hot it was. Even our shoes were starting to melt. The fumes, a mixture of hydrogen sulfide and sulfer dioxide, were kind of like breathing battery acid. All in all a great place to vacation.